This whisky ignites the taste buds with character that has taken four decades to develop – it forms like a thick cloud on the palate and floods it with spice, berries, citrus rind and a herbaceous glow similar to forest undergrowth with truffle butter. Quite possibly the bargain of the century, this independent bottling of a 40 year old Glenrothes astonishes the senses with a character that only four decades in oak can produce and a vitality owed to a “re-invigoration” in ex-sherry octave casks for three months. This 40+ year long process has yielded only 72 bottles, which means that there are probably only only a handful of bottles left on the planet. 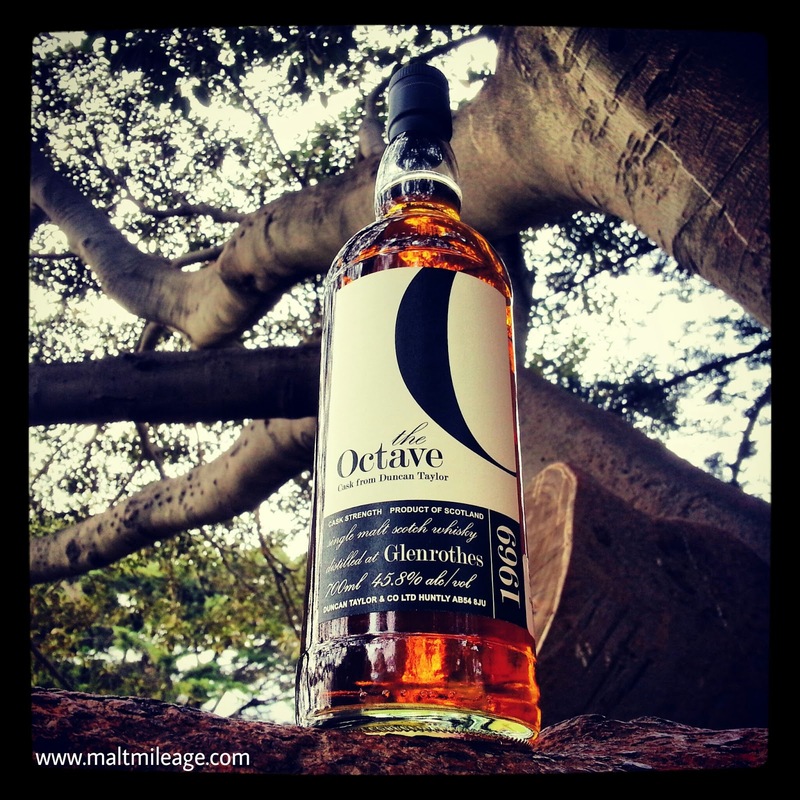 Increased interaction with the air: The use of octave casks does not just mean that there is more contact between the oak and the spirit. Because the octave casks “breathe” just like regular casks, the increased surface contact means that the spirit can soak up more of that lovely Scottish air. The result of “re-invigorating” this 40 year old Glenrothes malt whisky in ex-sherry casks is something spectacular. Nose: Almost immediately the aroma of a chocolate shop wafts up from the glass – the chocolate and sugars linger in the air with freshly brewed coffee and the slightest herbaceous note of tobacco. Great whisky conjures memories, and this whisky brings back memories of my very first whiff of a pack of menthol cigarettes – the tobacco, the menthol and the cardboard all mell together. Fruit develops, but it is zesty and vibrant in the form of pink grapefruit and mixed berries with crushed green pear and dashes of pepper. Taste: The spiciness of this whisky intensifies on the palate, exhibiting an elegant Glenrothes style that captures beautifully what I have come to adore with this distillery (its older expressions are superb). The chocolate shop on the nose develops and evolves into dewy forest undergrowth, truffle butter and green peppercorns with the fruit on the nose. Finish: The fruit takes a leading role on the finish, with citrus rind and mango peel presenting a bitter-sweet finale with a spicy snap! Beautifully complex! This whisky presents a character that is owed to its very long maturation and “re-invigoration” – all the character simple “works”.